… Answering “The Call” of Friends and Family! I’m very excited to be sharing a sponsored post with you in partnership with Onesto Artisan Crackers. Some names have been excluded to protect the innocent. Some have been changed, we’ll just call them “X” to keep them incognito. But the words, stories, and opinions are all mine and I’m sticking to them. Onesto Gluten-Free Artisan Crackers have solved “problems” for me, and those close to me. Really … it’s true! They’ve lessened the gray hairs (actually, hair dye is taking care of that, but I have less stress to cause gray hair), they’ve shortened my gluten-free product-hunting errands, and I can mingle with greater ease at parties now when these crackers are served. “How can this be,” you ask? Well, I’ll tell you. And when I do, it will solve all of your problems too. Well, probably not all of your problems, just the munching, snacking, appetizer-serving, and even “crumbing” dilemmas. 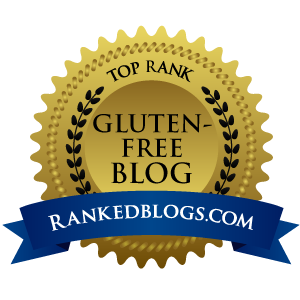 But that’s a heck of a start in the gluten-free world, right? I get this question regularly, especially from my non-gluten-free friends and family members. They want something that will be flavorful, not cardboard-ish. They want to offer a variety of choices to their guests, oftentimes being me. Yes, I have such thoughtful friends and family! They go out of their way to make sure I’m just like everyone else. They don’t want me stand out in a crowd or to get sick! I truly love that! And so the question is presented often. To this, I reply, “What does the cracker need to “do”? I have a few crackers that are my go-tos, depending on what the cracker needs to “do” or how it will be served. If the crackers will be paired with “cheese” (dairy-free for me, of course), I pick “X”. If they’ll be for munching without a specific pairing, I have a different favorite “X” cracker. Recently, Mr. DF and I were invited to a friend’s house for appetizers and drinks, and they wanted to make sure we had a cracker that was a good platform for smoked salmon. This required a cracker with a very neutral flavor profile and one that didn’t need to hold up to dipping, as into cream cheese, guacamole, or hummus. So I recommended yet a third cracker choice from my repertoire of “reliables”. All of these crackers are good. I’m fine with them and enjoy them regularly. BUT … have you seen the “regular” cracker selection in the cracker aisle lately? OMG, there are choices upon choices, upon choices. Many of which the gluten-free cracker flavor profiles hush to in comparison. I want those choices! And by “I”, I mean “you and me” … I want those choices for all of us “Daily Foragers” of gluten-free, dairy-free delicious options. We want, and need, it to be easier for us, and for those who are trying so kindly to feed us. Talk about choices! Onesto has a lineup of four choices, each playing a different role in the cracker need. The entire line of these crackers has a very crunchy texture. They stand up to a smear of thick-textured spreads without breaking apart or crumbling, keeping your bite-size treat in one flavor-filled nibble. And perhaps the best part, these are delicious to any taster, not just those who have to live in a gluten-free world. These can easily become a cracker of choice for parties because there’s no need to buy “gluten-free” and “regular” crackers. Though the name implies a strong presence of salt is to be expected, these were surprisingly not too salty. Few, if any, coarse crystals were present on the surface of the cracker. Still these have a seasoned flavor and are definitely not “flat” tasting. Sea Salt Crackers pair well with a smear of cream cheese. I like pairing these with homemade dairy-free cream cheese, a little drop of pear jelly, and a shred of prosciutto. Oh, my, this is divine! No doubt that these are infused with rosemary. The flavor is forward but not overpowering. A nice, savory platform for, again, pairing with dairy-free cream cheese. Goat cheese would partner well here if dairy is not taboo. Rosemary Crackers would pair well with a glass of white wine. I’d choose a Chardonnay or Riesling. I love the idea of turning these rosemary crackers into a course crumbs and using them to make “breaded” baked chicken strips. This taste-tester has always been leary of “everything” bagels, so this cracker variety caused some trepidation, expecting the flavors to be muddled together. Not to worry here. The flavors are delicious, with a sense of onion, black pepper, and poppy seed as the main players. The flavor profile is complex but not muddled together. The appearance of the Ancho Chile crackers is a lovely, muted brick red color, and darker in appearance than the others. It’s a perfect replication of the Red Rock here in the South of Utah desert, just FYI. This variety was saved for last to taste test so the chile flavor wouldn’t skew the flavor profiles of the other crackers. Some chili-flavored crackers can be so robust that you want to make sure there’s a beer in one hand while the cracker-nibbling occurs with the other. These have a very mild chili flavor profile and are actually less prominent than the Everything crackers. Though I know many people don’t prefer spicy or bold chili flavors, the “chile” profile here could be boosted a fair amount, to be truer to the descriptive name. Chile Crackers are flavorful, just did not deliver as much “punch” as expected. These could deliciously be used for dipping into a bold salsa or guacamole for a complimentary palate-pleaser. 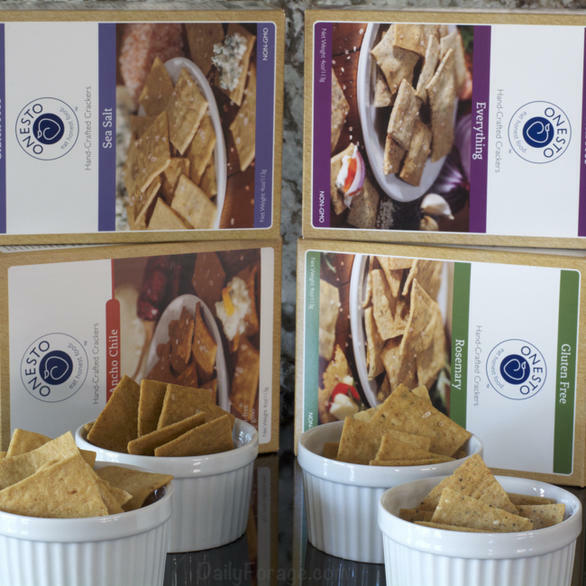 Need more reasons to add Onesto Artisan Crackers to your pantry or party table? Onesto Crackers are non-GMO and made without preservatives – always and all varieties. They are vegan and certified gluten-free by The Gluten Intolerance Group of America and processed in a certified gluten-free facility. Onesto Crackers have been awarded the Martha Stewart American Made 2015 Finalist recognition and Yankee Magazine Editor’s Choice Food Awards Winner for 2015 (in case you wanted more than just my opinion). Where can you get Onesto Artisan Crackers? Since the company’s reach is always growing, the best way to find out if the crackers are available near you is to send them an email for the most current availability in your area. Additionally, you can order online. 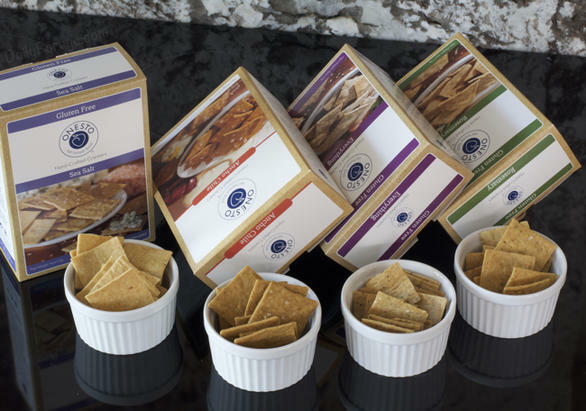 And be sure to check my Ingredients Listing to know if Onesto Artisan Crackers fit into your lifestyle. 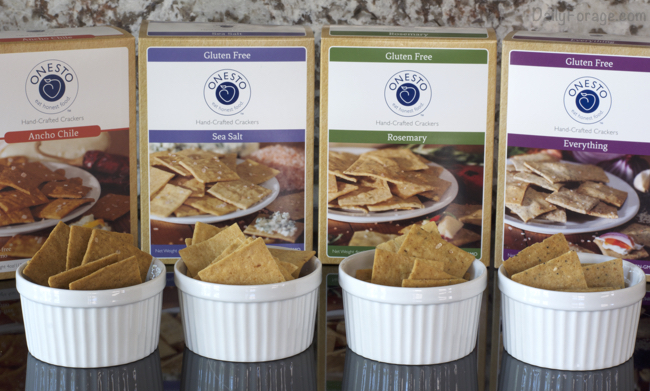 What flavor of Onesto Artisan Gluten-Free Crackers will you be trying first?